"I realized that the song I was looking for didn't exist, and I was going to have to write it myself." 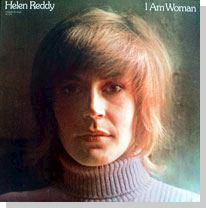 -- Helen Reddy on her hit "I Am Woman." 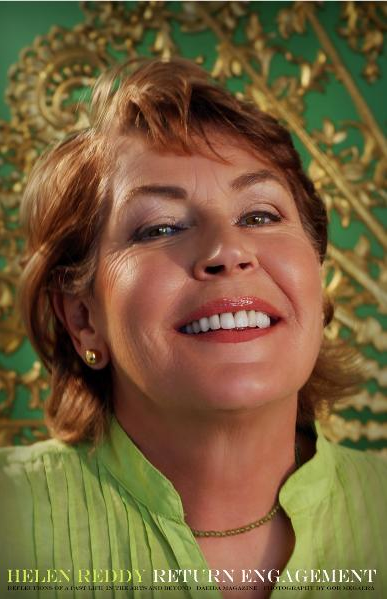 Thirty-nine years ago today, America first heard Helen Reddy sing her signature hit "I Am Woman." The song that would go on to become the anthem of the women's movement in the 1970s was not an immediate hit, but by December of 1972, it was No. 1 on the Billboard Hot 100. Reddy co-wrote the song with Ray Burton when she could find no other songs that expressed her new-found positive sense of self she found when she joined the women's movement. "I Am Woman" earned Reddy a Grammy Award for "Best Female Pop Vocal Performance." In her acceptance speech, Reddy thanked God, "because She makes everything possible." Reddy was also the first native Australian to top the U.S. charts and also win a Grammy. She went on to record, perform and act in the years to follow. She officially retired from show business in 2002 and is now a practicing hypnotherapist in Australia. In 2006, she penned her autobiography titled "The Woman I Am." In an interview with California-based Daieda Magazine in 2010, Reddy, 69, said she has no regrets about leaving show business, and emphatically states she has no plans to return. "I have no regrets about leaving show business when I did. I have to say that the last 10 years have probably been the happiest of my life," she said. Reddy also told the magazine that she is still involved with feminist causes "in as much as it's possible to be." Reddy believes there is still much to be done in the name of feminism, despite its negative connotation in today's media. "... it's very hard to fight the media and the media's representation of feminism and feminist issues. The media turned feminism into a dirty word. So much hard work was undone and so many gains were lost in the eighties. Now there's a whole generation of young women who want the benefits of feminism but don't want that word. They don't want to say they're feminist or associate as part of a feminist cause." Reddy also revealed her one guilty pleasure: "Chocolate. It's my one sin." Read Helen Reddy's Daeida interview in its entirety.